Enjoy reading and ……. keep your jealousy !!! Now here is the scoop for Saturday night!! After we left Max Cream, we went to the mall to get our passes for the instore tour on Sunday in Castrofilippo, then checked into our B&B in Canicattì. So what should we do for dinner tonight!! Well, let’s go to Naro and eat at Ristorante Pizzeria Maison. This is a lovely restaurant we visited last year….and of course we knew that the boys were in Catania that day for the instore tour there. So we also figured there was no chance in “hell” that we would accidentally run into them!! The two waiters recognized us from last year, and were excited to see us back! We had a great conversation with them and had a several course, fantastic long dinner, in typical Sicilian style. Well….while we were sitting there, suddenly we noticed some familiar faces coming into the restaurant. I looked up and there was Gaetano Barone coming towards us with a huge smile. He gave us hugs and a warm welcome to Naro. It appeared to be a family gathering along with a few friends, as Eleonora, Mariagrazia, Nonno Pietro and Nonna were all there!! It was nice to see the family enjoying each other’s company! As we were served our delicious dessert, we received an extra special treat! Walking towards our table was none other than….you guessed it….our gorgeous Piero!!! He gave us a warm welcome and was happily surprised to see us as we were him, because we thought he was still in Catania. He had a little conversation with us, and then rejoined his family and friends! Sorry, we did not take any photos as we wanted to respect their privacy!!! As we approached them, we asked if they were there to see IL VOLO…the only thing they understood from us was…IL VOLO!!!! They said Sì! So we got in line! … We decided to mingle with the fans there…so unable to adequately communicate in Italian…Jeannette pulled out her special IL VOLO picture book that the boys had signed previously and that’s all the communication we needed!!! We were actually adopted by this very nice couple that was in line in front of us!! They spoke no English and we spoke no Italian, however through Google Translate, sign language and “The now famous Book” we had a blast!!! It was finally time for our boys to enter and everyone went wild!! The CD signing went pretty quickly this time, but we received their love and attention before we were hauled off the stage by the the big burley bouncer that was waiting for us!! 😉😂😊 As we went off the stage, who do we first see??? Eleonora and Mariagrazia!!! Once again we get big hugs and kisses!! We also saw Dario, Piero’s good friend, and talked with him for a bit and spent some time with Max Messina and his beautiful girlfriend! The instore tours have now come to an end…with wonderful memories for us to cherish….Until our next IL VOLO adventure….we say …. oh how lovely, Deborah and Jeannette! Grazie Grazie Grazie for sharing! I am dying here! What a fun adventure. You certainly have made a special connection with the guys and their families, and they seem so warm and welcoming. Thanks for representing the Crew and bringing us along on your trip. WOW! What an incredible set of circumstances! I’m so impressed, but jealous that I’m sure this is being typed in green. Thank you so much for sharing this part of your adventure with us as well. Jeannette and Deborah, we all loved being with you in your travels and it was very kind of you to share everything with us. What a stunning time you had and we all wish we were there with you just for all the hugs. Thank you so much for sharing your wonderful experience. Jeannette and Deborah, What a wonderful adventure! I wish that I could be on that Cloud 9 with you ! They truly are very warm and sincere young men! Thank you for sharing your Il Volo journey!!! 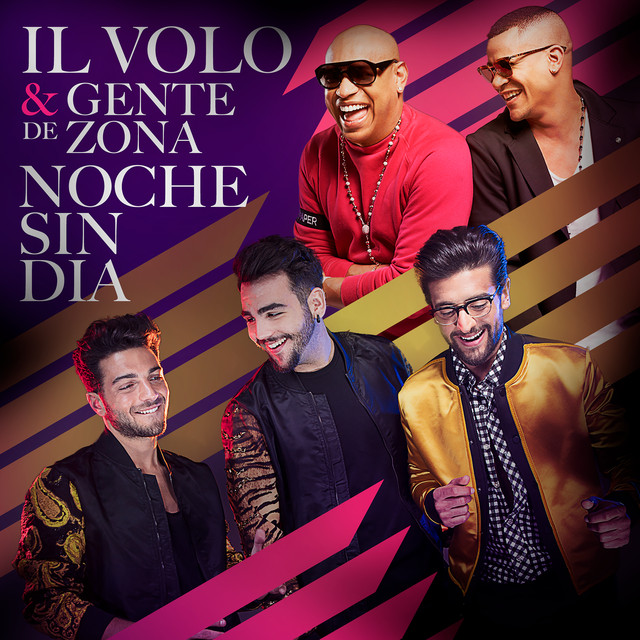 Thank you,we are sharing our adventure to have fans know that Il Volo has always tried to be grateful to every fan they meet… By sharing our stories we can promote and support Il Volo with new fans that do not know much about them and with seasoned fans like ourselves who just want to read all they can about these precious guys. and kind these great guys are. You are two very lucky ladies…thanks so much for sharing!! What a wonderful adventure! I am sure you couldn’t have imagined it to be better than it was! They are such lovely and loving people! Thank you, it just gets better each time we meet with them… They know we love and promote them everywhere we go and they appreciate that. Thank you for sharing your experience with our guys, what fun you had! It’s nice to know how much they love their fans. Hopefully I will be able to see them again in Las Vegas, and look forward to seeing you again Jeannette, and meeting Deborah. 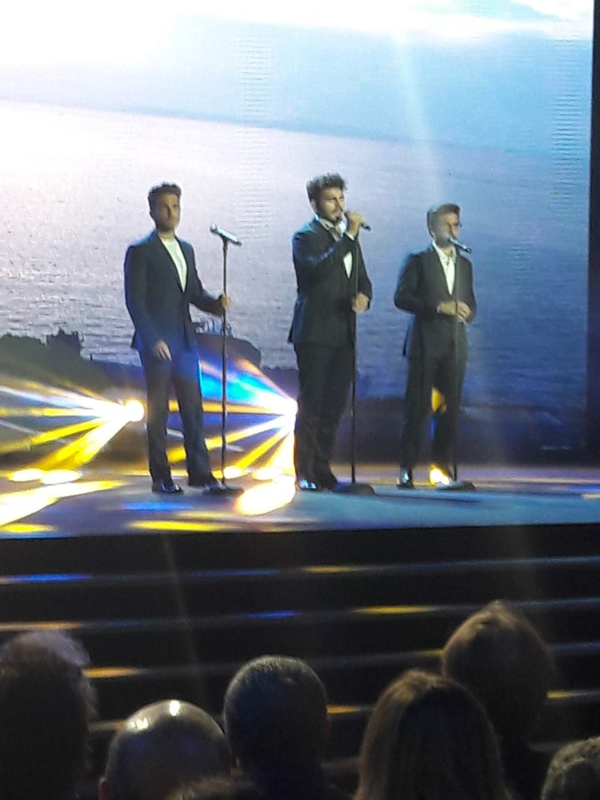 Thank you, yes we have been on cloud nine throughout our entire time in Sicily, thanks to the warm welcome of Il Volo. Thank you so much Barbara, that is so kind of you to say…We may have had our last adventure with Il Volo, but our adventure continues in Sicily…. You never know we may have some more sharing from us two crazy ladies.